As with every story, the coral reefs have heroes too. In Mexico, there are many heroic organizations that are trying to create a balance between social needs and the environment. Their goal is to engage the local people and create a culture of participation and ownership. Collaboration is essential to their strategy– to connect to the will of the politicians, to the will of the developers, and to the will of the people. You, too, can help. Get connected and learn more about organizations that are making a difference. Akumal "Place of the Turtle" in Maya--is home to Centro Ecológico Akumal (CEA). 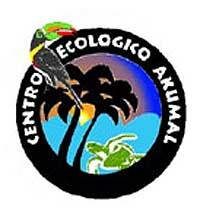 As a non-profit environmental conservation organization, CEA protects the Mesoamerican Barrier Reef System. The mission of CEA is to monitor the impact of development on the regional ecosystems and culture; to report findings and their significance to the public; and, through education, to influence public policy. CEA facilitates academic research, environmental education, cultural exchange, and environmental policy. It also offers programs for visitors and eco-tourists. There is a Visitor?s Center with information on local ecosystems and conservation activities, and frequent presentations on coral reefs, sea turtles and other topics related to environmental conservation. CEA has a wide range of programs aimed at studying and protecting the Mesoamerican Barrier Reef System from the effects of unsustainable development. The center relies on volunteers, graduate students, partnerships with other organizations, and the support of caring individuals to stay alive.